From what i have been able to glean from references it was likely named after ‘Alexander the Great’ and spread throughout europe during those times. 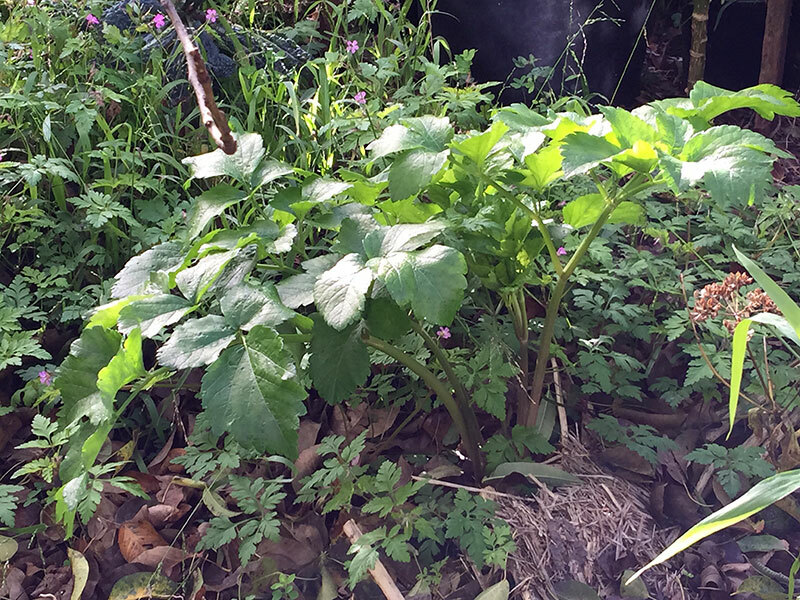 It is a large growing plant that can get to about 1.5m high when fully grown and then the flower stems can sometimes extend further than that. The leaves and stems are very much like celery but the overall taste is more bitter and intense. It would be hard for most people to pick the difference when looking at it. It was apparently extensively used before celery was developed. It grows best from Autumn through winter into flowering into early summer in a temperate climate. It is frost resistant and generally hardy if the winter does not get too harsh. It tends to last about two years but can grow for a little longer and flower even later if the weather is not too harsh or dry. It usually follows the biennial pattern of growing through the winter and then dying back to nothing during summer and then growing back in Autumn and winter and flowering that following year in spring and early summer. The roots can be eaten and taste like a cross between celery, carrot and parsnip when roasted or sliced thinly and quickly boiled or steamed. 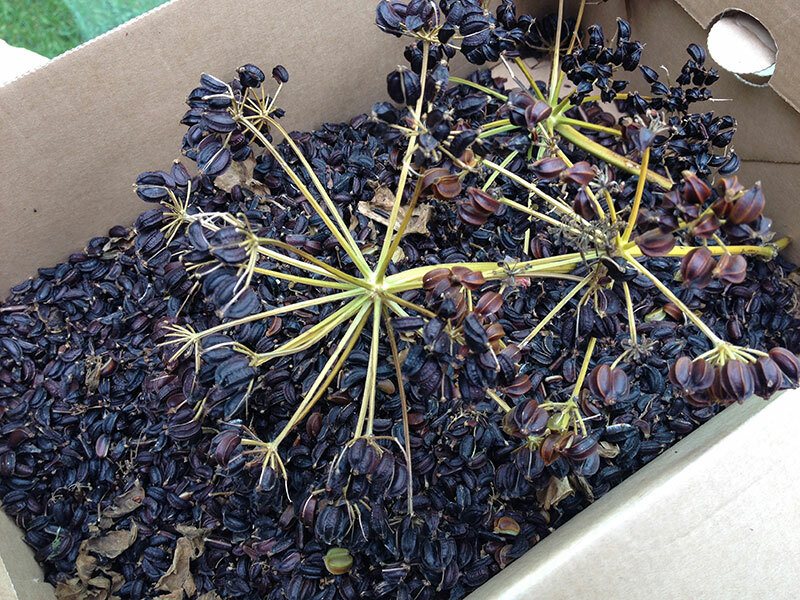 The seeds are profuse and fairly large and very black. It is in the Apia family so will produce vast amounts of seed if left to grow to full size. The seeds are peppery and strongly flavoured – a very interesting addition to a dish. 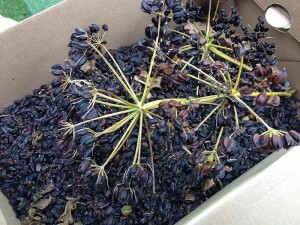 They need to be crushed or ground up as they are pretty large and hard straight from the seed heads. 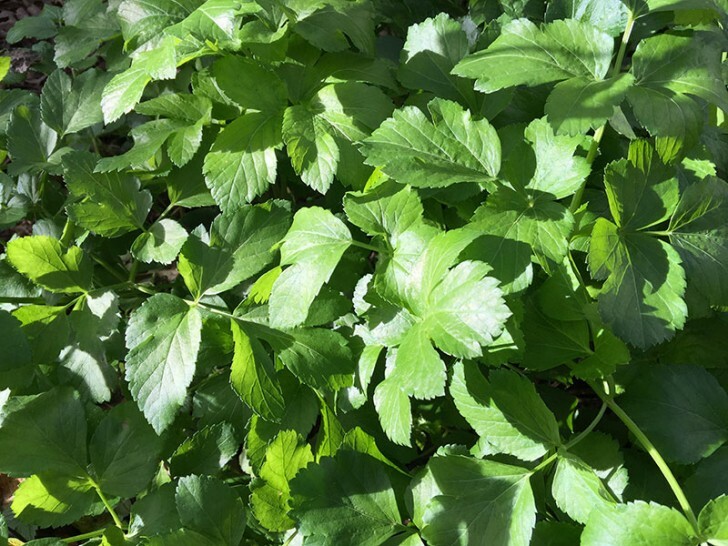 It grows mainly in cold weather and loves water and having a constantly moist soil much like celery and parsley, but it is less likely to suddenly bolt to seed within only a day or so of dry weather as celery does. So ongoing maintenance is less of a problem. Self seeding is the ideal way to grow it – by leaving it to seed and drop around the base of a plant. I think from my observations that it does need a period of cold and wet to get the seed germinating well in autumn but each plant produces so much seed it is not a problem to experiment with germination methods. It can be very slow to germinate so don’t expect a huge crop the first year. It is likey that it needs a long soak in water before sowing to get it moving. I usually grow a small collection in the ground to let them self seed at the appropriate time and also in pots to make it easy to move them around and harvest as needed. They never really excel in pots but they grow enough foliage to harvest and tend to stay small and tender. It’s usually easier to take this approach – let them self seed and then you can simply transplant them from the ground into pots in autumn when they get big enough. Here’s some at the beginning of winter in the ground after about three months growth from seed. 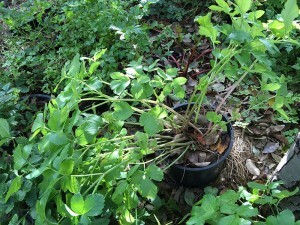 And the plant in this pot is a second year regrowth.